The Misty Moon Film Society starts it’s Summer Season in style with 3 Bloody Brilliant events for June 2015. 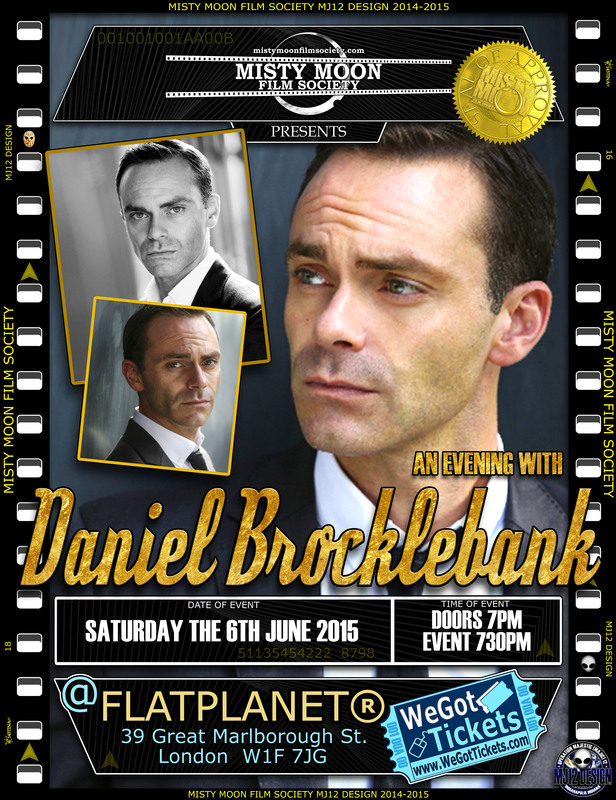 On Saturday the 6th June Daniel Brocklebank star of “Shakespeare In Love”, “The Hole” and now “Coronation Street” will be at FlatPlanet for an intimate evening of chat hosted by Chris Collins. On Saturday the 13th June the legend that is Fenella Fielding will be at The Cinema Museum talking about her wonderful career. Trevor Blackman will be the Special Guest MC. On the 27th June the ultimate cheeky chappie Robin Askwith is back for a very intimate warm up gig before The Camden Fringe Festival in August. 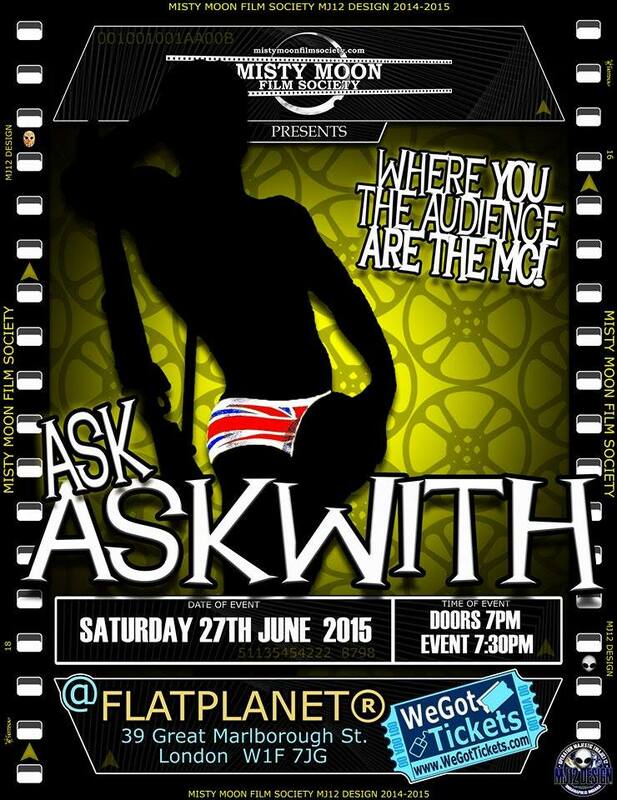 “Ask Askwith” will allow YOU the audience to be The MC & you can “Ask Askwith” anything you like. Tickets for all these events can be brought by clicking the links under the posters of each gig.